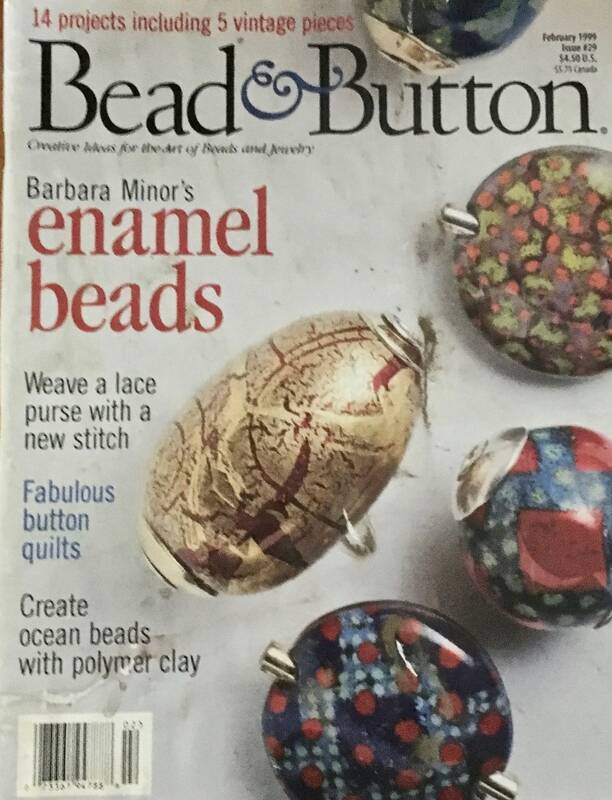 In this February 1999 issue of Bead and Button Magazine you will find 14 projects including 5 vintage pieces, Barbara Minors enamel beads, weave a lace purse with a new stitch, fabulous button quilts, create ocean beads with polymer clay, and more. 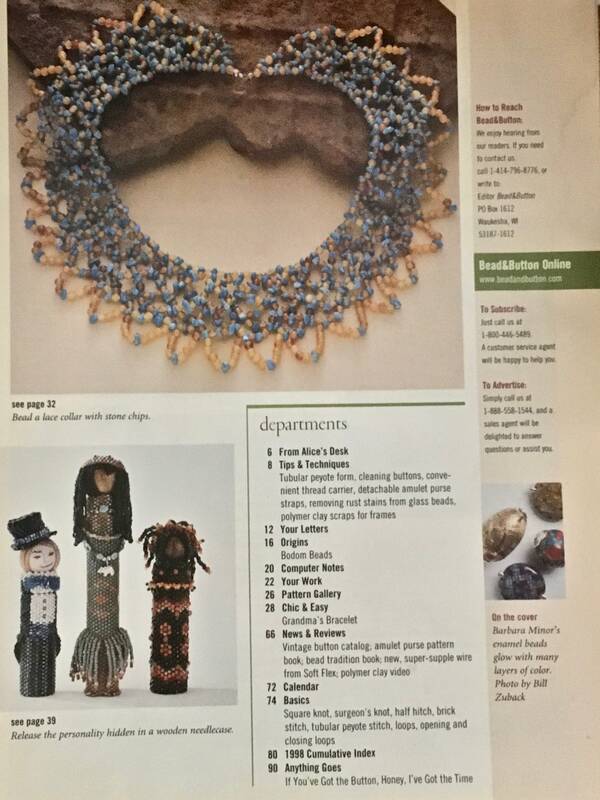 See images of the table of contents for a list of projects and articles in this issue. There was some slight water damage causing some wrinkling of pages but this did not affect the readability of this issue. 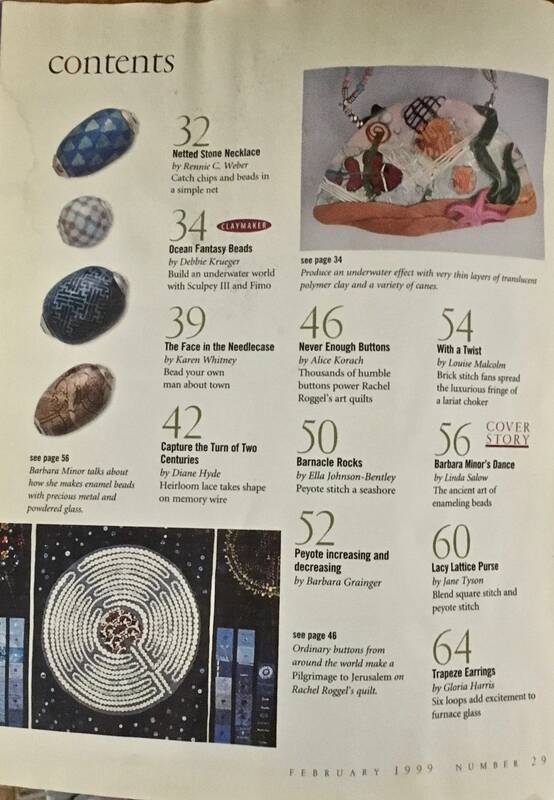 All our magazines are in nearly new to good condition; our books are in nearly new to new condition. All prices are discounted. We enjoy passing these on to you and hope they will inspire your creative spirit.